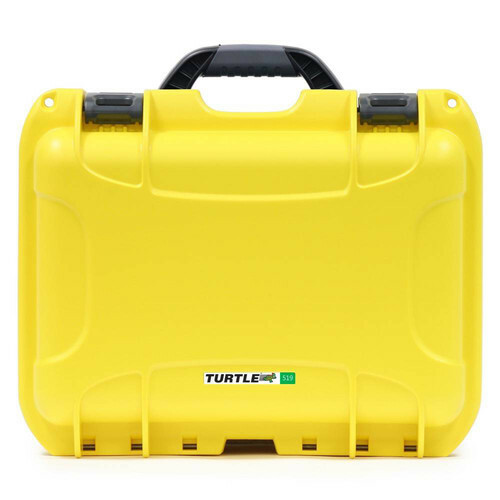 Size (Exterior): 15.4 x 12.1 x 6.8"
10.2 x 7.9 x 4.5"
12.5 x 10.1 x 6"
25.1 x 19.9 x 8.8"
The yellow 519 Hard Case from Turtle is an airtight, waterproof, customizable case with removable 1/2" cubed foam insert. The case is ATA certified and features stainless-steel hardware. It has double-movement latches, which help prevent an accidental opening. You can also add two optional padlocks for added security.